Separate whites from yolks. Add cream in yolks, butter, sugar, salt and vanilla sugar, stir all, mix flour with baking powder, sift on yolk mass and mix to make it smooth. Separately mix whites into foam, add in batter, stir gently. Spread some batter on heated dry pan, about 1 tbsp, fry pancakes under lid, over low heat, till golden color from both sides. If you want, you can fry in oil. 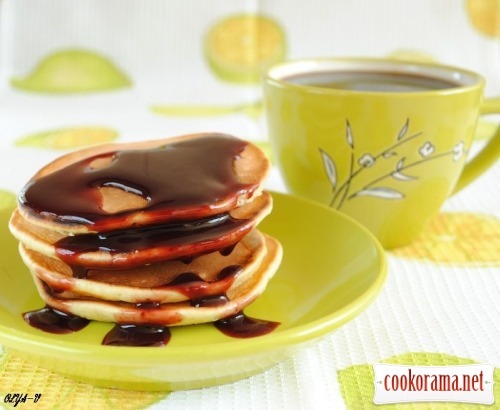 You can serve pancakes with sour cream, jam, honey or condensed milk. Top of recipe "Mini-pancakes for breakfast"